Today’s main news: Klarna launches open banking platform. SoFi re-engineers home loans. Apple’s new credit card. OakNorth secures guarantee of $133M. Qupital raises $15M to bumrush China. Today’s main analysis: Arbuthnot Banking Group audited final results for 2018. Today’s thought-provoking articles: U.S. yield curve, new fintech products. Cities with most overleveraged mortgage debtors. Household debt. Expanding access to credit in land of new halves. Consumers hunger for loans. SoFi re-engineers home loans. Every business model needs adjusting from time to time. Apple’s new credit card keeps financial advisors guessing. Interesting read. U.S. yield curve, new fintech products. From PeerIQ. Cities with most overleveraged mortgage debtors. A MUST-READ. Expanding access to credit in land of new halves. A guest article on Lend Academy from Sasha Orloff, former CEO of LendUp. Very interesting read. Amount empower’s TD Fit Loan from TD Bank. Freebies that come with student loans. CNote launches Wisdom Fund for women. 70% of Americans would share more personal data for fairer credit. Survey on alternative data sharing. 7 top real estate crowdfunding platforms. Technology prepares ABS professionals for next economic cycle. TrustToken’s stablecoin available on Cred. Mortech, Roostify partner for enhanced online mortgage experience. Finastra launches Fusion Digital Front Office. Huobi U.S. launches OTC crypto trading for institutions. Includes crypto lending. Elevate a finalist for LendIt Fintech 2019’s Financial Inclusion Award. J.D. Power ranks Regions among top alternative lenders for personal loans. Arbuthnot Banking Group audited final results for 2018. Tech Nation lists fintech pioneers. OakNorth secures guarantee of $133 million from British Business Bank. Inside OakNorth’s plan to take lending tech global. Western Circle Limited offers personal loans online. Monevo launches artificial intelligence loan comparison service. An alternative lending approach to fixed rate bonds. Half of Brits run out of cash before payday, seek out rogue lenders. P2P lenders will have strong presence at Innovate Finance Global Summit. Has alternative lending seens its venture capital peak? Battlestar Capital partners with Celsius Network. Europe: Klarna launches open banking platform. Not a surprise. We knew it was coming, and this will likely push Klarna even further up the ranks of most important fintechs globally. With aggressive expansion, Klarna can leverage this platform to focus its core competency in the area of instant loans all around the globe. China: Qupital moves into China with $15 million fund raise. Canada: Shadow banking has grown. China: Consumers hungry for loans. India: New modes of lending. Southeast Asia: Bukalapak partners with three P2P lenders. Russia: Bank 131 launches. A digital bank targeting global Russian entrepreneurs. Australia: APRA proposes strict credit risk management standards. Today, SoFi announced the refresh of its mortgage offering as SoFi Home Loans, complete with a reengineered process that helps people buy or refinance a home with an online application, no hidden fees, or prepayment penalties. SoFi Home Loans offer competitive rates including affordable down payments, with as little as 10% down on loans up to $3MM, with no hidden fees or prepayment penalties. SoFi allows applicants to choose between four different loan terms and fixed or adjustable rates. Those interested in refinancing can choose between traditional mortgage refinancing, cash-out refinancing, and student loan cash-out refinancing. If SoFi Home Loans isn’t able to handle a loan request, SoFi provides an easy option to digitally transfer member information to its affiliate partner who may be able to help. The Apple credit card is the latest offering by a Silicon Valley tech giant looking for a ready-made avenue into the financial services’ sector. While the new card mostly benefits loyal users of Apple products, it’s also an unwelcome reminder of an ever present question on the minds of wealth managers: Will the FAANG companies like Facebook, Amazon, Apple, Netflix and Alphabet continue their land grab of services historically provided by the financial services industry — and at what cost to traditional RIAs? Ominously, a majority of investors considering switching financial services providers said they would consider banking with a tech company like Facebook, Google or Amazon if they could, according to a recent survey by Novantis. For the first time in 3,000 days, and with much anticipation, the 3-month and 10-year treasury curve inverted. The median time to a recession after this curve inverts is between 1 to 1.5 years. However, unprecedented interventions such as QE (and higher central bank holdings globally) make it difficult to draw hard and fast conclusions. Market participants are pricing in a 41% probability of an interest rate cut in the September meeting. FinTech innovation continues with new products from PeerStreet and Figure. PeerStreet has launched a 30-year loan to enable private investors to buy rental properties. Residential for Rent loans are targeted towards rental home operators. The rental market in the US has grown exponentially post-crisis people struggle to buy homes. The number of rental homes has grown from 36 Mn in 2006 to 43 Mn in 2017. Buying a home represents an important milestone for most consumers. But for those who dive in to the deep end of real estate without a financial safety net, the decision could lead to buyer’s remorse in the long run. Mortgage rates are slowly falling after reaching their latest peak in November 2018, and are close to the lowest they’ve been in the past 3 decades. This makes 2019 a tempting time to buy a home. Some industry experts believe 2019 is friendlier toward buyers than sellers because of the lower rates. The most recent Quarterly Report on Household Debt and Credit issued by the Federal Reserve Bank of New York (the Fed) and Equifax Inc. (Equifax) showed that household debt rose for the 18th consecutive period during Q4 2018 to $13.5 trillion, $869 billion higher than the peak reached in 2008. This represented the third-smallest increase (0.24%) over the 18 consecutive periods of growth, partly because of decreasing mortgage loan debt during Q4 2018 to $9.2 trillion from $9.4 trillion at the end of Q3 2018 and flat levels of auto loan debt at $1.3 trillion for both Q3 and Q4 2018.
Credit is one of the largest, most powerful, lucrative and important industries in the world. It also is one of the best tools for wealth creation – home ownership, small business ownership and growth, and, leveraged investing. This is readily accessible for prime consumers with more options now than ever before. But for the other half of the country that is non-prime, options are still limited and in many cases non-existent. Early pioneers of securitizations like SoFi, the scaling of marketplace lending like Lending Club, Prosper and Best Egg, and new distribution models like Greensky and Affirm have contributed towards increasing comfort of these “new asset classes” that were mostly locked up in bank’s balance sheets. There are a lot of new “halves” in today’s world. Half of our country have a subprime credit score. Half of our country live paycheck to paycheck. Half of our country have volatile incomes. Millennials and the next generation are approaching half of the workforce, with very different attitudes about loyalty, institutions, and how they spend their money and repay their debts. Amount, a technology provider for financial institutions, today announced a strategic partnership with TD Bank. TD Bank, a top ten U.S. bank, is leveraging Amount’s platform to power the bank’s TD Fit Loan, which launched in August 2018. This initial offering allows consumers to consolidate higher-interest debt, while helping TD meet growing consumer demand for a seamless digital and mobile lending experience. Through this partnership, TD and Amount will roll out additional offerings, as well as standalone tools addressing fraud, verifications and decisioning. SoFi members have received over 15,000 coaching sessions to date. Who offers it: Multiple refinance lenders. Education Loan Finance offers $400 for each successful referral, as well as $100 for the loan applicant. Laurel Road lets you split its $400 bonus however you and your referral see fit. Splash Financial provides $250 apiece for both parties. If you prefer freebies that help others, CommonBond has a one-for-one social impact mission. For each loan the lender issues, it donates an amount based on a formula that funds a child’s education in a developing country through the nonprofit Pencils of Promise. Those donations have totaled over $1 million to date. Women are the fastest-growing group of entrepreneurs in the U.S. Yet less than 5 percent of small business lending—only $1 in $23—goes to women. CNote aims to fix this disparity with the Wisdom Fund, a new impact investment opportunity launching today. Investors in the Wisdom Fund will earn an estimated 4 percent annual return, over a 60-month term, on a loan portfolio that’s diversified across established CDFIs. Email wisdomfund@mycnote.com to learn how you can help fund more women-owned businesses today. Carolina Small Business Development Fund, which provides small business loans and financial training to startups, existing businesses and community organizations in North Carolina. LiftFund, a Texas-based organization that empowers underserved entrepreneurs with capital and support services in 13 states. TruFund, a national nonprofit organization that provides affordable capital to small businesses and nonprofits in Alabama, Louisiana and New York. More than half (54%) of loan applicants don’t even have a clear understanding of why they receive the interest rate they do from a lender, while a majority (70%) say it is difficult finding lenders who will look at them as something other than their credit score. 77% believe more data is better when evaluating potential borrowers’ credit. SigFig, the financial technology firm that developed digital advice platforms for several large financial institutions, wants to help banks automate more than investment management. SigFig Atlas is billed as a “financial advice and software-guided sales platform” for banks. Accessible either in a branch office or online, SigFig Atlas will assess a customer’s financial needs, then use algorithms to determine which of a bank’s products or services would work best. Beyond robo-advice, Atlas can also recommend checking and savings accounts, loans, mortgages or any other bank products. “ArborCrowd is the first crowdfunding platform launched by a real estate institution, offering a vastly different model than others in the space,” says Adam Kaufman, co-founder and managing director at ArborCrowd. “We are a marketplace where sponsors can list their offerings and investors can invest typically between $25,000 and $1 million per investment to own their pro-rata portion of that deal or fund,” says Brandon Banks, vice president of real estate at RealCrowd. Bradley Fulkerson, senior managing director at Transwestern in Atlanta says through Groundfloor, investors provide short-term, high-yield loans, secured by the underlying real estate. Accredited investors can participate in both equity and debt real estate funding through Portland-based CrowdStreet. “PeerStreet’s accredited investors earn a stable, consistent return with a yield that’s generally higher than bonds and sometimes even more than equities,” says Brett Crosby, co-founder and chief operating officer at California-based PeerStreet. Small Change is crowdfunding investing for socially conscious small investors. From the platform, investors choose their projects and invest. Highly selective RealtyMogul offers commercial real estate investing for accredited and nonaccredited investors. An overwhelming majority (90 percent) of asset-backed securities (ABS) professionals feel that adopting new technologies will be important to preparing their businesses for the next economic cycle, according to Capital One’s sixth annual survey at SFIG Vegas 2019. The survey also revealed that ABS professionals believe the biggest risks to their businesses are uncertainty around regulatory risk and increased credit risk, both at 29 percent. However, despite regulatory risk being a top concern, the industry’s apprehension has nearly cut in half over the last two years. In 2018, 48 percent noted regulations were the biggest risk to their businesses while 58 percent thought so in 2017. Additional top-of-mind concerns for 2019 include increases in interest rates (18 percent) and increased competition (17 percent). Asset tokenization platform TrustToken has announced a strategic partnership with crypto lending platform Cred. Founded by former PayPal financial technology veterans, Cred is a decentralized global lending and borrowing platform that allows stablecoin issuers, exchanges and wallets to provide valuable earn and lending services worldwide. Today, Mortech, a Zillow Group business providing mortgage technology solutions for mortgage lenders and secondary market teams, announced a new partnership between Mortech’s product and pricing engine (PPE) and Roostify, a digital lending platform that gives customers more control of their home buying process while allowing loan officers to utilize the latest technology to more easily process loans. The strategic partnership will integrate two proven mortgage technology solutions to improve the digital mortgage experience for many industry-leading lenders. Finastra has launched Fusion Digital Front Office, an innovative tablet-based banking platform that enables community banks and credit unions to take services directly to the consumer, outside of the branch. The solution provides a simple gateway to manage account origination, sales and service, and transaction processing from any remote location. Elevate Credit, Inc. (“Elevate”), a leading tech-enabled provider of innovative and responsible online credit solutions for non-prime consumers, has been named as one of six finalists in the “Excellence in Financial Inclusion” category for the LendIt Fintech Industry Awards 2019. This award is given to the company that has made the biggest impact in expanding access to financial services in new and innovative ways. Birmingham’s largest bank has ranked among the top alternative lenders in the U.S. for providing personal loan satisfaction through digital applications. Revolut, Monzo, Starling Bank, Currencycloud, Aire, Blockchain, MarketInvoice, Quantexa, Nested and Salary Finance were revealed to be among the 24 most dynamic and fast-growing late-stage technology companies to be chosen to join Future Fifty’s 2019 cohort. Tech Nation and Dealroom data has also revealed that the U.K. has attracted a whopping $7.9 billion in funding in 2018 and closed the gap for exits of venture-backed companies with the U.S. As well as this U.K. sales, IPOs and mergers were worth $40 billion – ahead of every other European country – which points to the success of the tech sector as a whole in the country. OakNorth has today announced its participation in the ENABLE Guarantee programme, securing a guarantee of £133m from the British Business Bank, the UK government’s economic development bank. OakNorth will use the guarantee to strengthen further its lending support to fast-growth businesses and established property developers and investors. The ENABLE Guarantee programme is designed to encourage banks to increase their lending to smaller businesses by reducing the amount of capital required to be held against such lending. Under an ENABLE Guarantee, the UK Government takes on a portion of the lender’s risk on a portfolio of loans to smaller businesses, in return for a fee. As a challenger bank, OakNorth charts a different course. While Revolut, Monzo, and N26 focus on putting their digital current accounts in the hands of millions, OakNorth doesn’t even offer a current account. While other challengers are racing to acquire banking licenses all over the world, OakNorth is happy with just a UK license. OakNorth is also posting profits while other challengers aren’t. The bank announced a £33.9m profit for 2018, up 220 percent from 2017. OakNorth provides debt financing to entrepreneurs in growing businesses, lending £0.5M to £40M to profitable, scale-up, British businesses. To fund its underwriting, OakNorth offers digital savings accounts. It currently has 40,000 customers with digital savings accounts and has lend £3 billion in under four years. Western Circle Limited has made a name for itself by offering responsible payday loans online. Their decision to branch out into the personal loans market through the new brand PersonalLoansNow.co.uk was well received by their customers. THE END of the tax year is fast approaching, so if you haven’t yet taken full advantage of your £20,000 ISA allowance to make tax-free returns, now is the time. The peer-to-peer lending industry is expecting to see an uptick in inflows into Innovative Finance ISAs (IFISA) this year now that there is a much wider choice of products available and the potential for higher returns than cash with lower volatility than the stock market. Loan marketplace Monevo has launched a new platform to give consumers comparisons of pre-approved loans. Based in Macclesfield, the business is a licensed credit broker for personal and business loans and is Europe’s largest personal loan marketplace. When it comes to asset allocation, advisers constantly face the challenge of finding real diversification in client portfolios. Sue Whitbread met with Matthew Ardron and Benedict Yung of Basset & Gold Group, to talk about their approach of offering fixed rate bonds that invest in alternative lending. FOUNDERS of the ‘big three’ peer-to-peer lenders are among the confirmed speakers at Innovate Finance Global Summit (IFGS), which takes place next month at London’s Guildhall. Giles Andrews of Zopa, Samir Desai of Funding Circle and Rhydian Lewis of RateSetter are all participating in various sessions at the fintech industry trade body’s flagship conference on 29-30 April 2019, which marks the start of UK Fintech Week. Other confirmed speakers from the P2P world include Zopa chief executive Jaidev Janardana, ArchOver’s Angus Dent, Ali Celiker from British Pearl and Roxana Mohammadian-Molina from Blend Network. Hong Kong-based online SME trade financing platform Qupital is targeting the mainland after closing a $15 million Series A funding round led by CreditEase FinTech Investment Fund. Qin Shuifeng, 30, who lives in the suburban district of Jiading, went to a branch of the Postal Savings Bank of China in 2016 to seek a loan for home improvements. The lender granted her and her husband a credit line of 1 million yuan (US$148,600), of which they drew 600,000 yuan, with an interest rate 10 percent higher than the benchmark rate. The central government has issued a series of policies favorable to consumer lending since the second half of 2018. Still, risks remain. To realize sustainable development, players need to build strong operational and risk control capabilities, either by themselves or in partnership with financial technologies firms. Today, Klarna, one of Europe’s leading payment providers and the global market leader in payment initiation services, announces the launch of its own Open Banking Platform. This platform will enable access to more than 4,300 European banks through a single Access to Account (XS2A) API in line with Payment Services Directive (PSD2). Klarna’s XS2A API is the most established and proven solution that has been developed at scale across markets for almost 15 years through the Klarna Group company Sofort. U.S. FinTech funding reached its highest level in five years in 2018, according to CB Insights data published last month, hitting $11.89 billion. Yet at a time when analysts say VCs are focusing more on late-stage investment, alternative lenders are having a tougher time securing funding, particularly market newcomers in a crowded market. 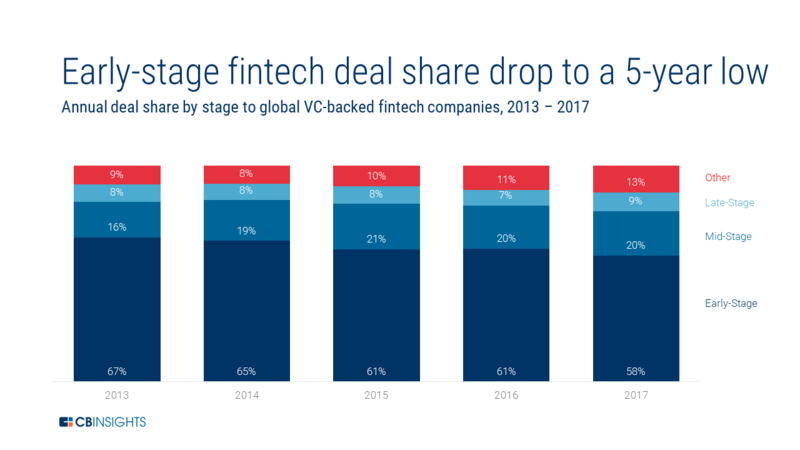 But there is evidence that investors’ appetite for alternative lending startups is on the wane, even as overall FinTech funding continues to climb — and as the success of the alternative lending market grows, too. Just weeks after launching in the US, trading and investment platform eToro announced plans to purchase Copenhagen-based blockchain firm Firmo, reports Julie Muhn at Finovate. Founded in 2017, Firmo offers a programming language called FirmoLang that runs on a sidechain. Exchanges can leverage FirmoLang to create financial instruments such as P2P lending platforms or cryptocurrency derivatives with tokens. And Firmo is versatile, allowing the tokens to be run on any blockchain. Battlestar Capital, which is a blockchain staking-as-a-service company, revealed that customers could potentially earn up to 30 percent on a yearly basis when it comes to their idle crypto holdings. Here is everything about the startup’s claims in a nutshell. In an interview, the company said that it has teamed up with crypto lending startup called Celsius Network in an attempt to launch a large-scale service capable of offering potentially high returns. In a bid to change the market dynamics of the banking and financial sectors, the Reserve Bank of India (RBI) will soon come up with alternative models of lending and capital raising for the sectors. Bukalapak is teaming up with Indonesian P2P lending startups Amartha, Modalku, and PohonDana to provide loan facilities in a program called Modal Mitra. The loans are available to offline vendors who are part of the company’s Mitra Bukalapak program. The financing offered through Modal Mitra ranges between US$70 and US$700 and can be paid back in up to six months, with weekly installments starting from US$6. It can only be used for purchases in the Mitra Bukalapak app. Bank 131, a new digital bank focused on Russian companies and entrepreneurs that work for global internet companies and/or buy from global ecommerce companies with a Russia presence, announced today they have received their banking license from authorities – the first and only new bank to do so in four years. Canada’s shadow banking sector has grown substantially in recent years, but the overall financial system has grown even faster, keeping risks in check, suggests a new report from the Bank of Canada. In the report, the central bank details the results of its monitoring of so-called “non-bank financial intermediation” (NBFI), also known as shadow banking. Among other things, the report finds the Canadian NBFI sector has grown by 1.7 times since 2006, driven by strong growth in investment funds, securities financing transactions and private lending.